You are here: Home / News / Say hello to Couchbase, ArangoDB, CosmosDB and Redshift! We’re happy to announce the release of Database Master 10.5, Nucleon BI Studio 10.5 and BI Web 4.1. This new release brings you support for the the ArangoDB, Couchbase, Azure CosmosDB, Amazon Redshift database systems, important changes and improvements for all products. So say hello to Couchbase, ArangoDB, Azure CosmosDB and Amazon Redshift! 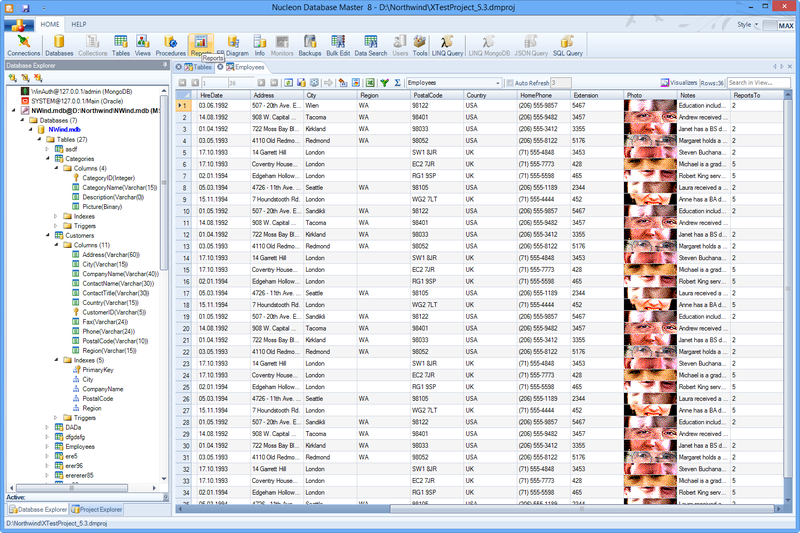 We also removed the analytics modules (Statistics, OLAP, PowerView) from Database Master. It will be a smart data and database management tool for SQL and NoSQL systems in the future and no analytics. Nucleon products are supporting Couchbase database system which is an NOSQL system with N1QL query language. You can list Couchbase Buckets, view the Bucket data and query it using N1QL language. It allows you to add new documents and able export the documents to more then 10 file formats. ArangoDB is an powerful document oritented NoSQL database system with graph support. You can view ArangoDB collections and documents as data tree or table, query it using AQL query language. It allows you to add new documents and export to documents more then 10 file formats. Microsoft Azure CosmosDB support allows you to use NoSQL database system on the cloud. You can connect to CosmosDB and query the MongoDB (backend of CosmosDB) collections using SQL language. It allows you to add new documents and export to more the 10 file formats.